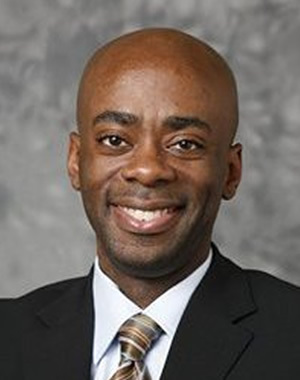 Dudley Benoit (MPP '95) is a Towsley Foundation Policymaker in Residence at the Ford School. As the director of community development finance at Santander Bank, Benoit is responsible for Santander's Community Reinvestment Act (CRA) qualified lending and equity investing. Previously, Benoit served as a senior vice president leading JPMorgan Chase's commercial real-estate multifamily lending business. Early in his career, he worked as a program manager at Seedco and MDRC. He currently serves as board chair and loan committee chair of New Jersey Community Capital, and as a board member with the Primary Care Development Corporation. Benoit holds a master's degree in public policy from the Ford School and a master's in business administration from Columbia University.